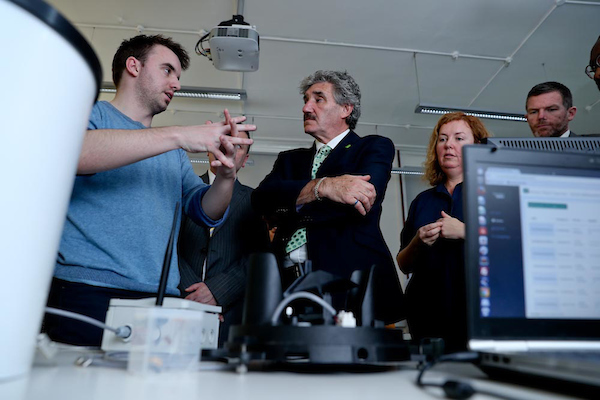 Minister of State for Training, Skills and Innovation, Mr John Halligan, TD, paid a visit to CONNECT headquarters at Dunlop Oriel House in Trinity College Dublin recently to take a look at some of our research projects. Follow his visit in the Image Gallery below. Minister Halligan signs the visitor book at Dunlop Oriel House in Trinity College Dublin. 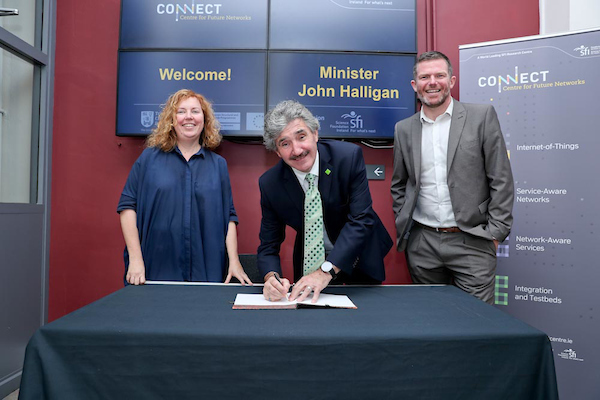 He is greeted by Professor Linda Doyle (Director, CONNECT) and Dr Frank Smyth (Executive Director, CONNECT). 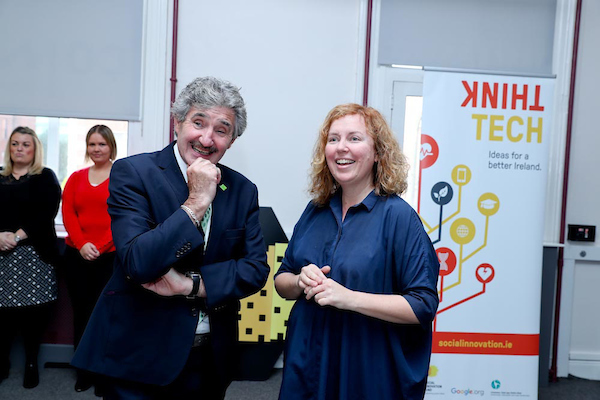 Professor Linda Doyle (Director, CONNECT) introduces Minister Halligan to the research work of the centre. 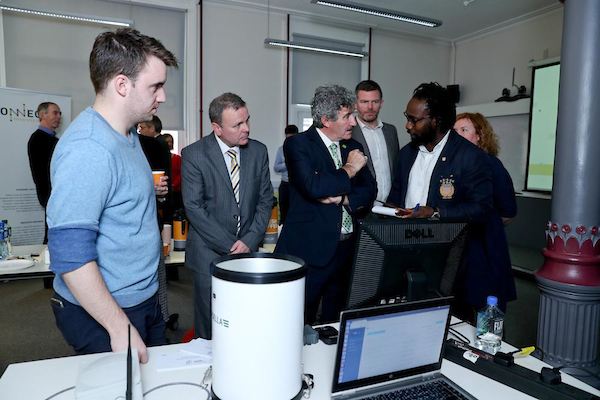 Lye Ogunsanya talks to the Minister about CONNECT's collaboration with Dublin City Council on the Smart Dublin initiative. Shane Hamilton of CONNECT's Pervasive Nation programme explains some of the applications of Internet of Things technology to flood management. 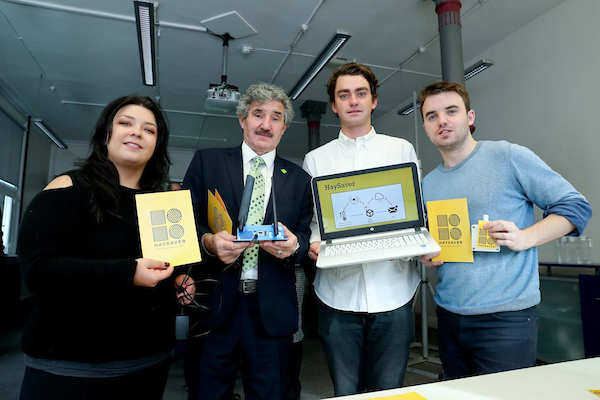 Minister Halligan meets Joanna Hearne, Graham Dundon and Shane Hamilton of HaySaver, an IoT startup collaborating with CONNECT. 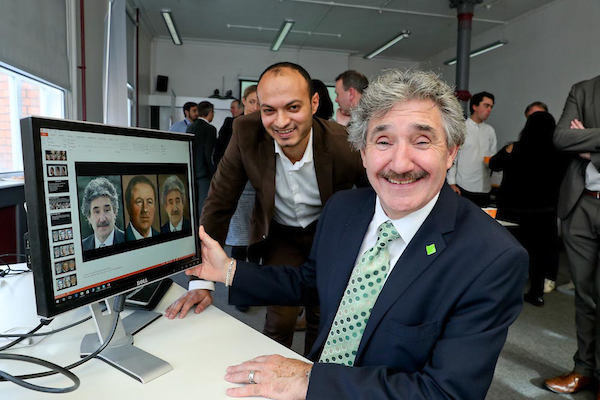 CONNECT Research Fellow Ahmed Selim introduces the Minister to his innovative work which uses Machine Learning to produce paintings. 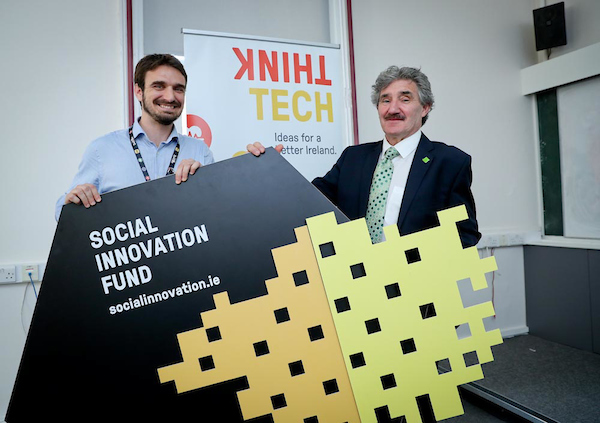 Eoghan Ryan of Social Innovation Fund Ireland with Minister Halligan after a discussion on the ThinkTech tech-for-good initiative.